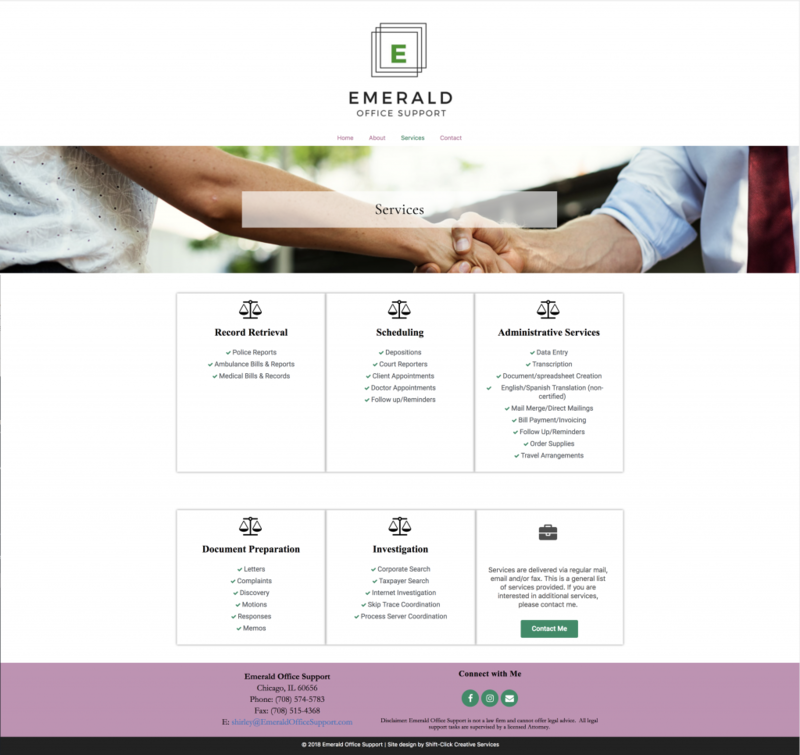 Emerald Office Support is owned by Shirley, a virtual assistant in the legal space. 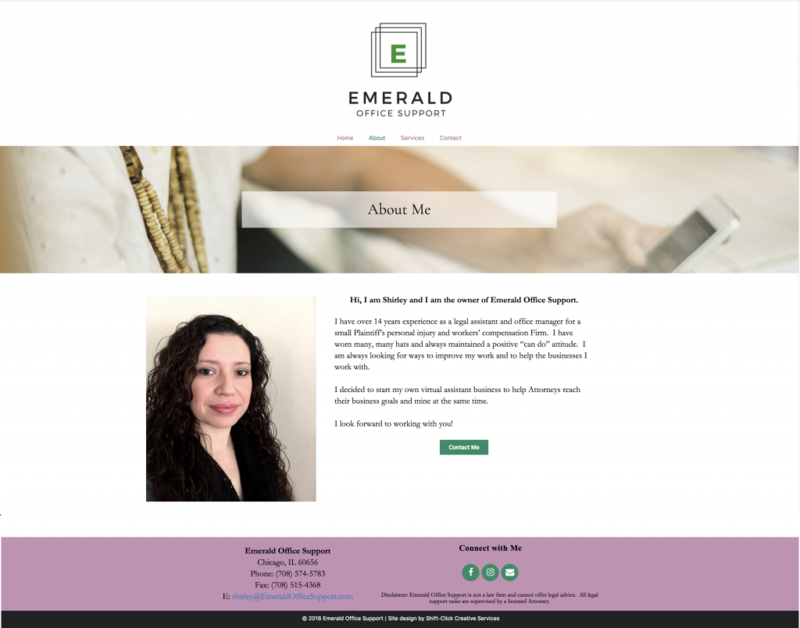 Shirley needed a simple, yet effective website that would be able to communicate her services and allow her clients to easily connect with her. She already had a logo created, but after discussing her needs, we worked together to create a look and feel that resulted in a website that she is extremely pleased with.